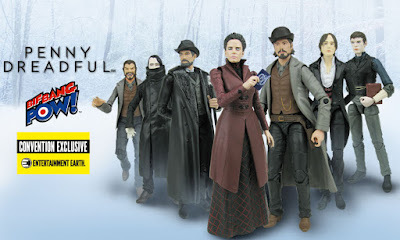 Bring home the dark and mysterious world of Penny Dreadful with these new 6-inch action figures made by Bif Bang Pow!. 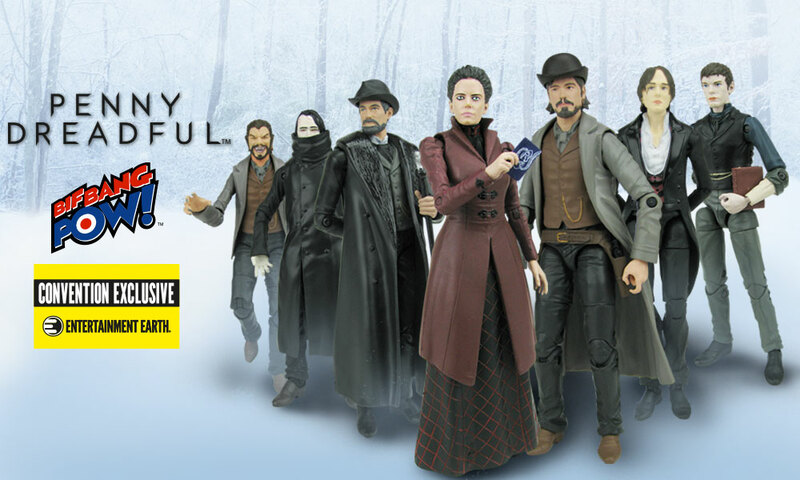 In stock now at Entertainment Earth, these new action figures include characters Vanessa Ives, Ethan Chandler, Dorian Gray, Dr. Victor Frankenstein, Sir Malcolm Murray, Ethan Chandler as the Werewolf and The Creature. 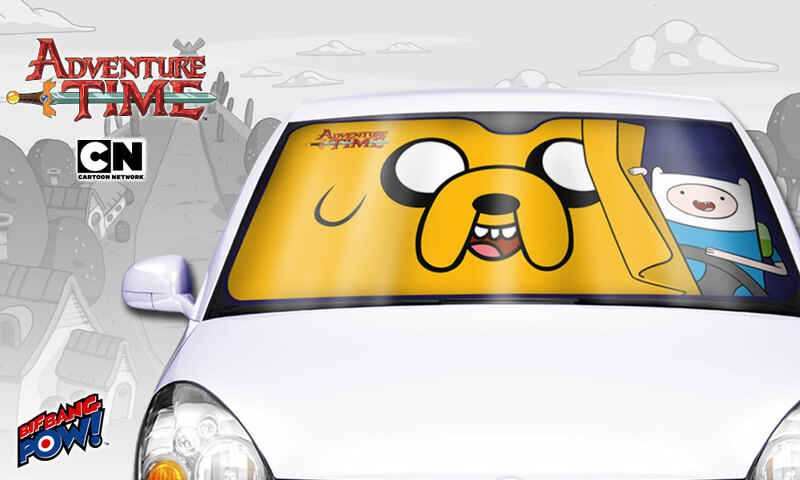 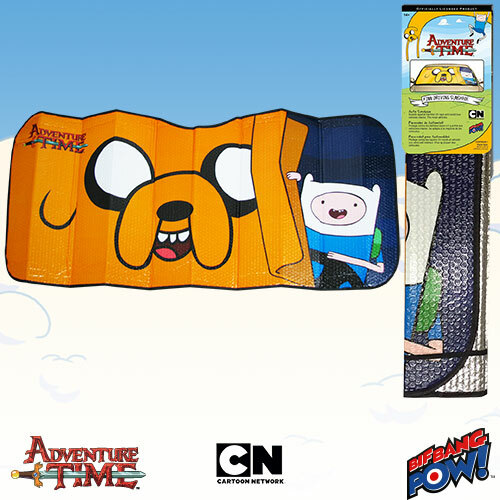 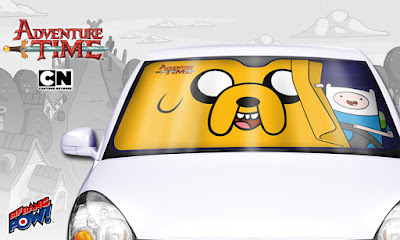 Each action figure is a limited edition Entertainment Earth convention exclusive and comes individually numbered. 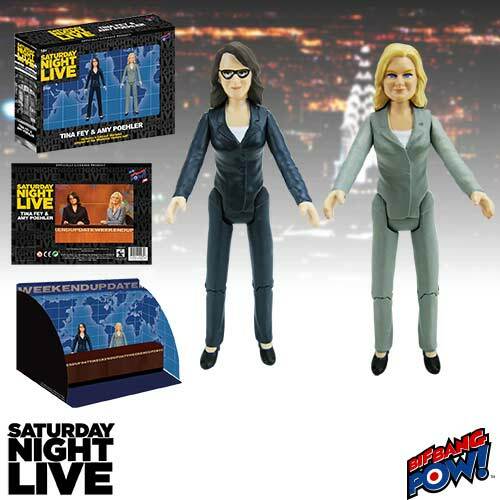 They have an incredible 18 points of articulation, stand 6-inches tall and each is sold separately. 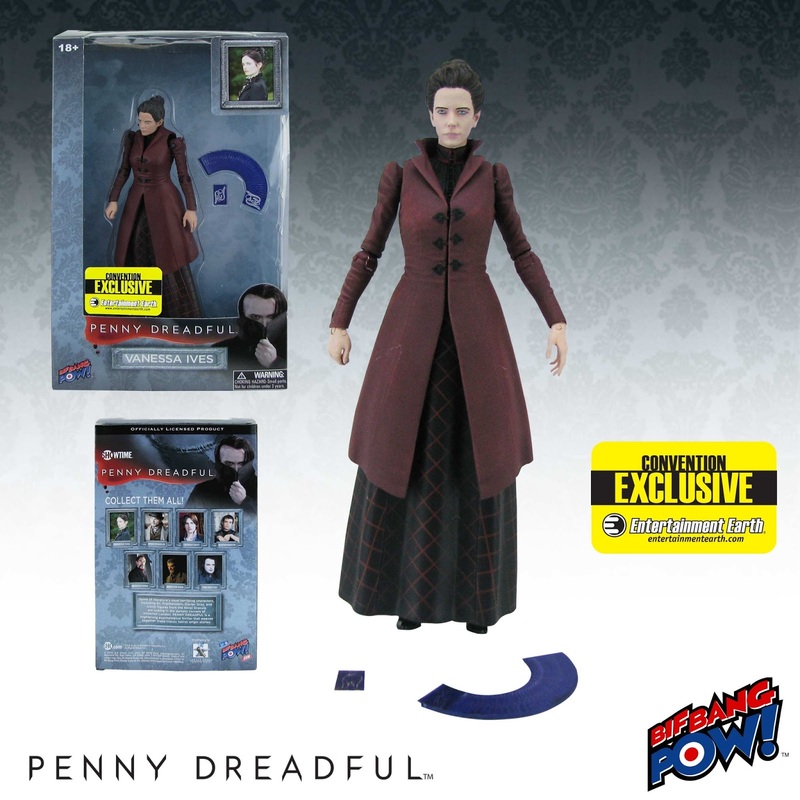 The Penny Dreadful Vanessa Ives 6-Inch Action Figure – Convention Exclusive showcases the beautiful clairvoyant in an ankle long black skirt with a checker square pattern along with a matching maroon vintage Victorian coat which is made of soft and bendable PVC plastic. 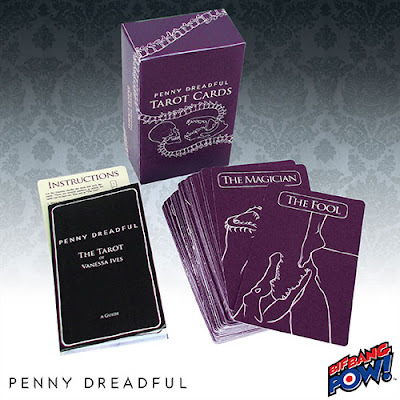 Vanessa is a limited edition of 3,700 pieces and comes with her trusty set of tarot cards fanned out into one piece along with a separate single tarot card. The meticulously detailed Penny Dreadful Ethan 6-Inch Action Figure – Convention Exclusive features the charming Ethan Chandler in an extra-long gray trench coat made of soft and bendable PVC plastic, a brown shirt with gold chain and dark gray pants. 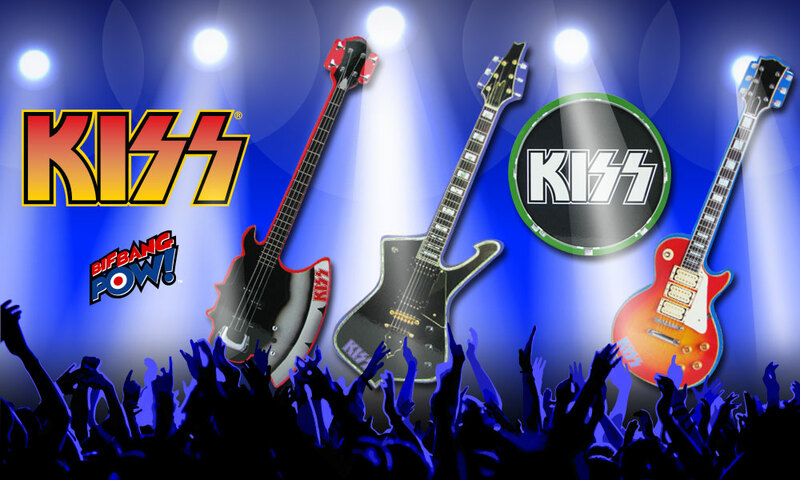 The brash American gunslinger is a limited edition of 2,800 pieces and includes his signature gun holster, guns and removable bowler style hat. 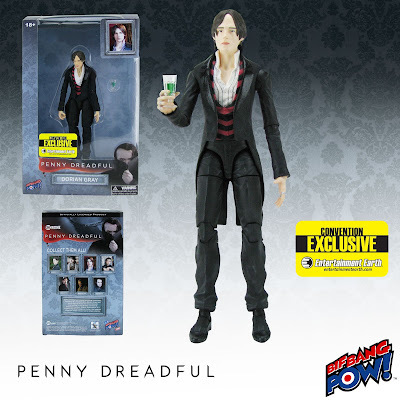 Money, beauty and eternal youth, the Penny Dreadful Dorian Gray 6-Inch Action Figure – Convention Exclusive has it all. 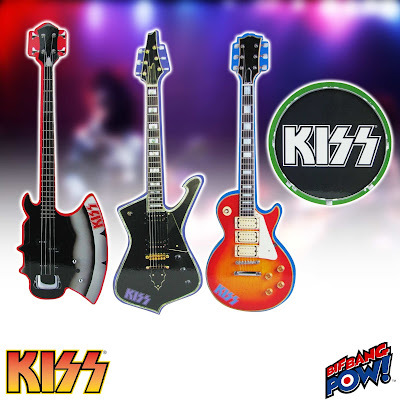 The reckless risk-taker in wearing a sophisticated black tailcoat suit made of soft and bendable PVC plastic, a white button shirt and a striped magenta vest. The handsome immortal includes his signature accessory, a goblet filled with a green drink and is a limited edition of 3,700 pieces. Victor Frankenstein probably wouldn’t be your first choice for a weekly checkup but as an addition to your Penny Dreadful collection however, the Penny Dreadful Frankenstein 6-Inch Action Figure - Convention Exclusive will provide the prescription for what ails you. The finely detailed figure features the 'not so mad-scientist' wearing slacks and a long sleeve blue shirt which is visible through his black sleeveless vest. The young doctor is a limited edition of only 2,800 pieces and comes with his infamous sketchbook and surgical scissors as accessories. 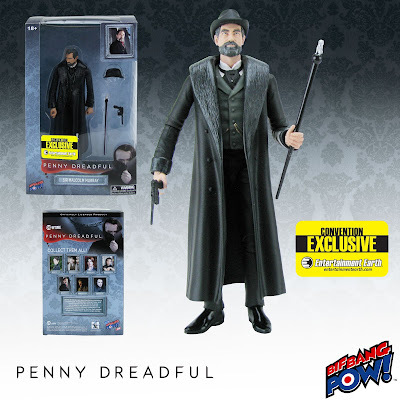 The intricately detailed Penny Dreadful Sir Malcolm Murray 6-Inch Action Figure – Convention Exclusive features the debonair explorer in a dapper black tailcoat suit made of soft and flexible PVC plastic, a white collared shirt and black tie. Sir Malcolm is a limited edition of only 2,800 pieces and comes complete with his signature cane with sitting lion, top hat and hand gun as accessories. 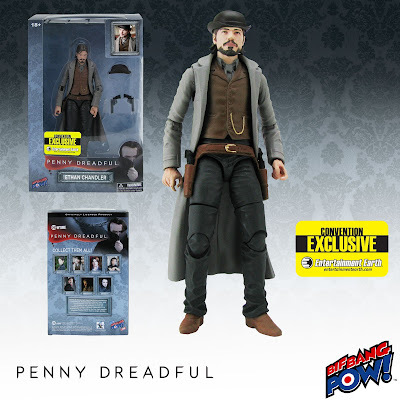 Ethan Chandler undergoes a powerful change when the moon is full and becomes the Penny Dreadful Ethan Werewolf 6-Inch Action Figure – Convention Exclusive. This detailed figure captures the charming American gunslinger transformed into his hybrid human werewolf self with creepy long claws and wearing a gray coat made of soft and bendable PVC plastic, a brown shirt with gold chain and dark gray pants. 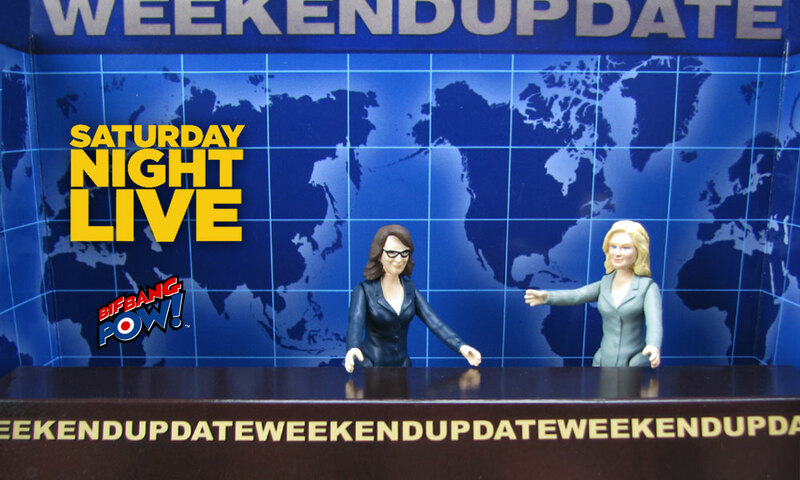 The Ethan Werewolf action figure is a limited edition of only 2,400 pieces. It’s alive! 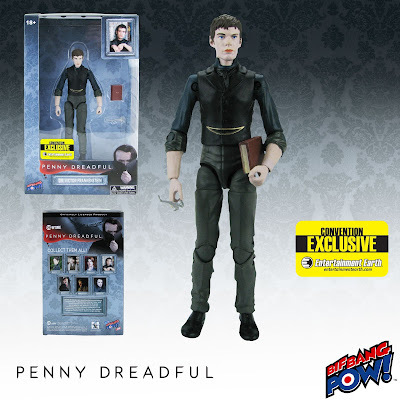 Collect Dr. Frankenstein’s creation with the Penny Dreadful The Creature 6-Inch Action Figure - Convention Exclusive. 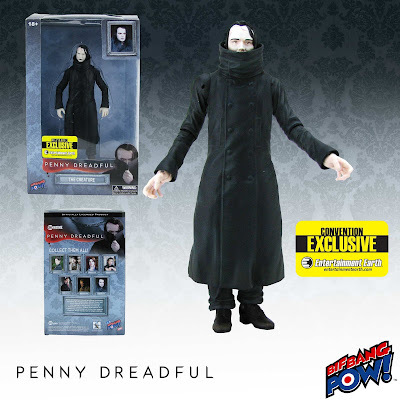 This finely detailed figure features The Creature in an all-black Victorian style trench coat with a high neck wrap made up of a soft and bendable PVC plastic to help hide the not-so-pleasant surgery by his father. The Creature is a limited edition of only 2,400 pieces. "Penny Dreadful": TM & © 2015 SHOWTIME NETWORKS INC. All Rights Reserved.